Pennsylvania Partners in the Arts (PPA) provides state arts funding support through a grant from the Pennsylvania Council on the Arts, a state agency funded by the Commonwealth of Pennsylvania and the National Endowment for the Arts, a federal agency. The LEHIGH VALLEY ARTS COUNCIL administers these grants in Lehigh, Northampton, and Carbon County on behalf of the Pennsylvania Council on the Arts (PCA) to support a wide variety of local and community arts activities. The PPA 2015-2016 Project Stream deadline is June 22, 2015. Grants awarded will provide up to $2,500 to eligible individuals, community groups, and non-profit organizations to conduct arts projects which have a significant public component. The grant application and award process is locally administered by the Lehigh Valley Arts Council staff, who then convene advisory panels from the local cultural community to review the applications according to PCA guidelines. To encourage participation in the application process, Lehigh Valley Arts Council hosts free planning workshops for anyone who is planning to submit an application. New and returning applicants have found these sessions critical to their success in meeting the demands of a compelling, competitive proposal. Artists, grant writers, and volunteers will have the opportunity to review PCA’s eligibility rules; detailed criteria, narrative and budget requirements; and digital work samples that make a successful application. To register for one of these 2015 Project Stream workshops sponsored by the Lehigh Valley Arts Council, email Marilyn Roberts at ppa@lvartscouncil.org. Include your organization and/or artist name, preferred email and phone contact information, and a brief description of the project you are considering. You will be sent confirmation of your workshop date, location details, and links to the application materials. For information on Pennsylvania Partners in the Arts recipients from our region, visit our website at www.lvartscouncil.org/program. Email questions or concerns to ppa@lvartscouncil.org. The Montgomery County Partners for Home Ownership, in conjunction with the Montgomery County Department of Housing and Community Development, invites you to join our annual HOUSING FAIR. The Housing Fair is free to the public and will include an exhibitor area for non-profits, banks, mortgage companies, realtors & insurance companies, home inspectors, credit companies and other housing-related organizations. Workshops will be running throughout the day! Blue Bell/Pottstown, Pa.— Montgomery County Community College (MCCC), in collaboration with all Pennsylvania community colleges, recently launched a new online tool, College Credit Fast Track, to help adult students earn college credit for work and learning experiences. To introduce this new tool and help prospective students walk through the process of creating an online portfolio of their prior learning experience, MCCC will be holding free Prior Learning Assessment Portfolio Information Workshops. The workshops are scheduled for Monday, Feb. 23, 6 to 7 p.m. and Wednesday, Feb. 25, 10 to 11 a.m. at Parkhouse Hall, Room 115, Central Campus, 340 DeKalb Pike, Blue Bell, PA 19422 and for Thursday, Feb. 26, 10 to 11 a.m., and Friday, Feb. 27, 10 to 11 a.m., at South Hall, Room 220, West Campus, 101 College Drive, Pottstown, PA 19464. To register, contact Denise Collins at 215-619-7313 or dcollins@mc3.edu. Funded by a U.S. Department of Labor Trade Adjustment Assistance Community College and Career Training (TAACCCT) grant, the College Credit Fast Track program is part of a combined initiative of the Commonwealth’s community colleges to train and place underemployed and unemployed residents in high-demand job fields. To learn more about the program, visit http://www.ccfasttrack.org or contact Denise Collins at 215-619-7313 or dcollins@mc3.edu. To talk to an advisor, contact Mary Beth Bryers at mbryers@mc3.edu or call 215-641-6319. 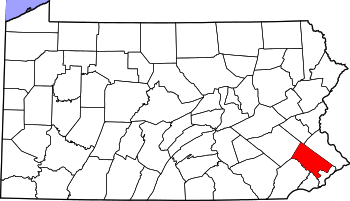 Blue Bell/Pottstown, Pa.— Is your head filled with financial aid questions? Montgomery County Community College’s Financial Aid Office will host two workshops in July to help high school juniors and seniors and their parents understand the financial aid process. The workshops are free of charge and are open to the public. Workshops will be held at 6:30 p.m. on Wednesday, July 9 in Advanced Technology Center room 101 at MCCC’s Central Campus, 340 DeKalb Pike, Blue Bell, and on Wednesday, July 16 in the South Hall Community Room at the West Campus, 101 College Drive, Pottstown. Both workshops will feature an expert panel discussion by representatives from a variety of local colleges and universities. Attendees will learn about the different types of financial aid available, how parents and students can meet the cost of attending college, how to interpret award letters, and much more. Workshops will include ample time for Q & A. Blue Bell/Pottstown, Pa.— Building on the success of a pilot Career Transitions Workshop in April, Montgomery County Community College (MCCC) will offer additional workshops in Blue Bell and Pottstown for adults who may be thinking about returning to college. The next set of Career Transitions Workshops will be held on Tuesday, May 13 from 6-8 p.m. at MCCC’s West Campus, 101 College Drive, Pottstown, and on Thursday, June 5 from 10 a.m.-noon at MCCC’s Central Campus, 340 DeKalb Pike, Blue Bell. The workshops are open to all adults and are free of charge, although pre-registration is requested. For more information or to RSVP, contact Denise Collins at 215-619-7313 or dcollins@mc3.edu. During the workshops, prospective students will get an overview of the resources available to help them transition into college. Topics include using MCCC’s website and online registration tools, financial aid, assessment of credits for prior learning, stackable credentials, career pathways, and job search tools. After the initial sessions, MCCC advisors will follow up with participants one-on-one to help them identify programs and pathways that are right for them. “Our goal is help adult learners be comfortable and successful at the College. We want this to be a place where they can get back on track with their education and transition into new careers,” said Denise Collins, who manages the U.S. Department of Labor Trade Adjustment Assistance Community College and Career Training (TAACCCT) grant at MCCC. The grant is helping MCCC to develop a robust Prior Learning Assessment model and stackable credentials for adult students as part of the JobTrakPA framework—a joint initiative of Pennsylvania’s 14 community colleges to train and place underemployed and unemployed residents of the Commonwealth in high demand jobs. The workshop also connects to MCCC’s participation in the American Association of Community Colleges’ (AACC) Plus 50 Encore Completion Program, which looks to train 10,000 baby boomers for high-demand jobs through 2015. Blue Bell/Pottstown, PA — April is National Financial Literacy Month, and Montgomery County Community College (MCCC) and TD Bank will offer free workshops to help students and community members learn how to build and keep great credit. The workshops will be held on April 23 from 12:15-1:15 p.m. and April 24 from 6:30-7:30 p.m. in Parkhouse Hall room 121 at MCCC’s Central Campus, 340 DeKalb Pike, Blue Bell, and on April 29 from 12:15-1:15 p.m. in South Hall room 221 at MCCC’s West Campus, 101 College Drive, Pottstown. The workshops are free of charge and are open to the public. Questions can be directed to MCCC’s Financial Aid Office at 215-641-6566. Banking Basics – Tuesday, April 16th, 10am, Pottstown Regional Public Library, 500 East High St.
For more information and to register call 610-275-4357. Learn how to get the most out of your career fair experience. Workshops are held from 9:30 to 12:30 at Fairview Village Church in Eagleville and are presented in collaboration with Penn State Cooperative Extension. 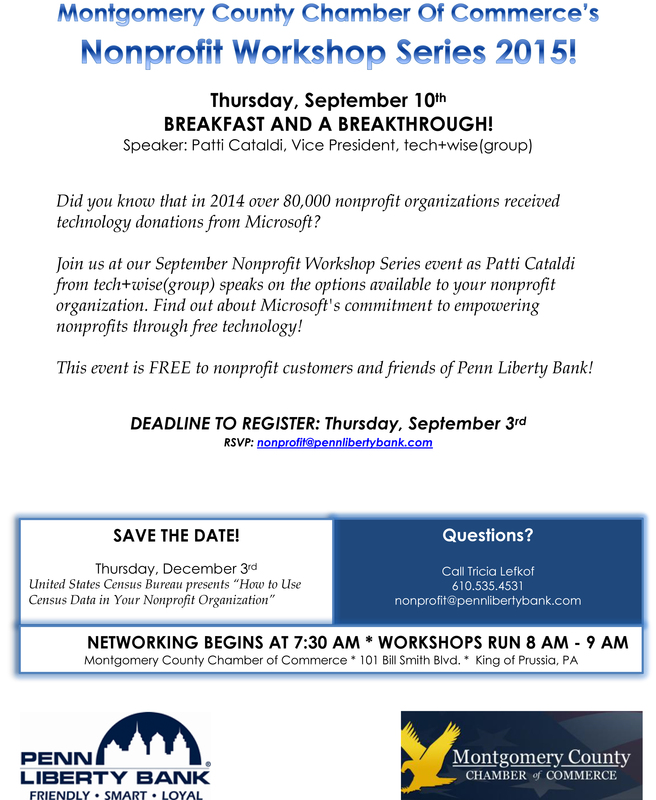 For more information about these free workshops and other capacity-building services for eligible nonprofit organizations in Montgomery County, please contact Alicia Verleysen, Project ECO Community Liaison, at 610-630-2111, Ext. 229 or averleysen@fsmontco.org.